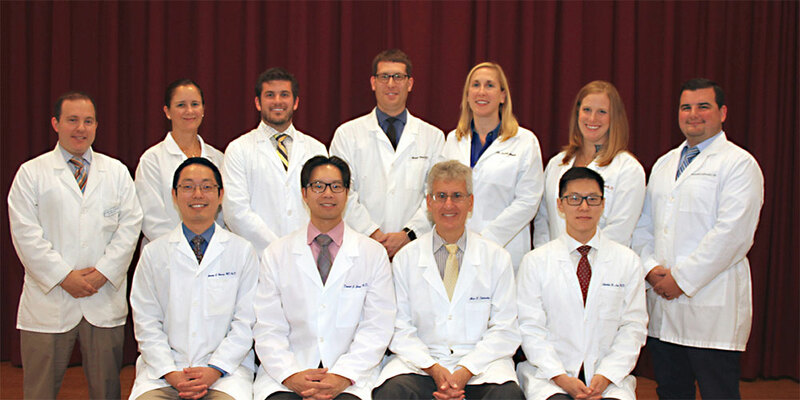 Doctors at Solinsky EyeCare serve you based on a simple philosophy: to provide the most modern, comprehensive, and compassionate eye care available. We take pride in your eye care. 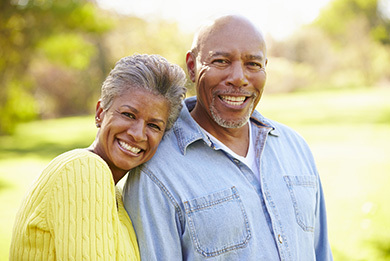 From performing eye exams in Hartford, to treating dry eyes, to removing cataracts successfully with some of the best ophthalmologists and optometrists in Connecticut. When you visit any of our Connecticut offices for your eye appointment, you are the most important person. We want to care for you in a courteous and efficient manner and resolve all possible eyecare issues you may currently have. Our staff is sensitive to your needs and will be happy to assist you with your medical, insurance, transportation and financial concerns. Lead in innovative patient care with highly trained staff utilizing the most advanced technology available. 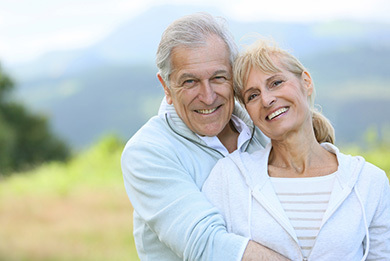 Enhance and preserve patients’ vision throughout their life. Strive to efficiently meet the vision needs of each patient by continuously educating staff, technicians, and doctors. Exceed the expectations of our patients in all that we do. If you are ready to receive the highest quality eye care Hartford has to offer then please contact one of our offices to schedule your first appointment. 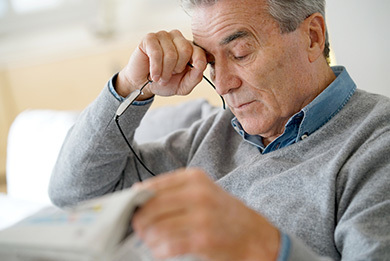 We offer a number of eye care services and look forward to helping you. "Dr. Solinsky, I wanted to thank you for your skill and my eye-sight. It is really amazing to wear glasses one day and not the next. I'm so glad of all the research being done today." "I cannot stop bragging about Dr. Solinsky whom I consider the miracle man who so successfully restored my priceless gift of sight exceeding my expectations. It's like magic but for real…"
Spring is Here! Don't Let Allergies Get In Your Way. Red, itchy, watery eyes? 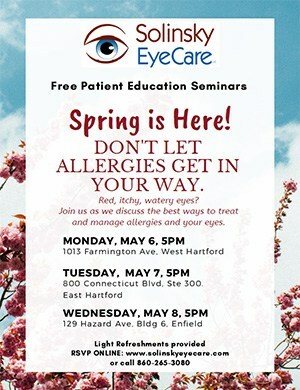 Join us as we discuss the best ways to treat and manage allergies and your eyes. 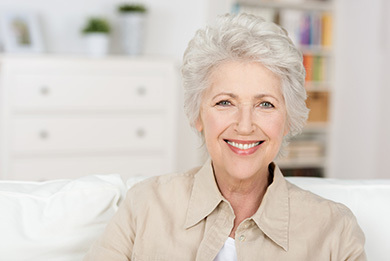 Click here or call or call 860-265-3080 to register for one of our patient seminars.